Are you connected via Wi-Fi? Try connecting directly to the Internet router to see if it’s a Wi-Fi issue. If others are not having problems and it is just your own computer, it may be an issue with your computer rather than the Internet connection. Are you sending large email files? If yes, the large files will be uploading in the background and could be slowing down your connection. Try waiting until your emails are sent, or cancelling them to see if your connection improves. Do you have cloud backup software or torrent clients installed on your computer? Close and exit any torrent clients and ensure that no cloud backups are running, then check if your connection improves. Do you have any Web Browser plugins installed? Try using a different Internet browser to see if the speed increases – preferably one that you don’t use much. Are there particular sites that are slow? If there are specific sites that are slow, the issue could be on their end. Try again in a few hours. If your Internet is still slow, your next best troubleshooting option is to perform an isolation test. To do this you will need to take the following steps before contacting us with the results of the tests. Disconnect all devices from the Internet. This includes all computers and phones. Connect one computer or laptop directly to your Internet router (it is important to connect via Ethernet cable, not Wi-Fi). Make sure the computer you have connected isn’t running any other programs or downloading anything. Go to speedtest.net and perform a speedtest. Record the results so that you can compare it with further tests. 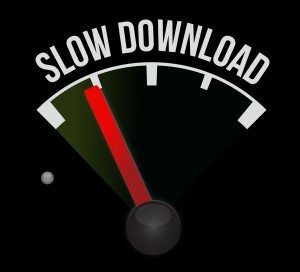 If you are now getting full Internet speed, there will certainly a device on your network consuming all of your bandwidth degrading your speed. This is commonly a device excessively downloading files/updates or multiple users watching HD video. If you are still having issues, continue the troubleshooting steps below. Turn off your Internet router for 5-10 minutes and then perform another speed test. If this does not resolve the issue, try using a different Internet router and perform another speed test. If you are using an ADSL service, try plugging a phone into the Internet socket on the wall. If you cannot hear a dial tone, or there is a lot of static, there may be an issue with the line. We would recommend logging a VOICE fault with your phone line provider. Perform a ping test to infinite.net.au or google.com. Be sure to note the “ms” or ping results. Use the search bar to find the application “cmd”, and open it. You can copy these results by right clicking in the black window and selecting “Copy”. If none of the above steps work, please contact us with the results of the speedtest and ping test, and we can log a line fault for you. It is important that you run these tests to ensure issues are not being caused by your CPE (Customer Premise Equipment). During a fault, if a technician is sent out to fix an issue and finds that it was caused by the CPE, an additional fee will be applied starting from $250. If you need additional support, please contact our Support Officer, Rob Ivory by submitting a support ticket or 1300 790 337.